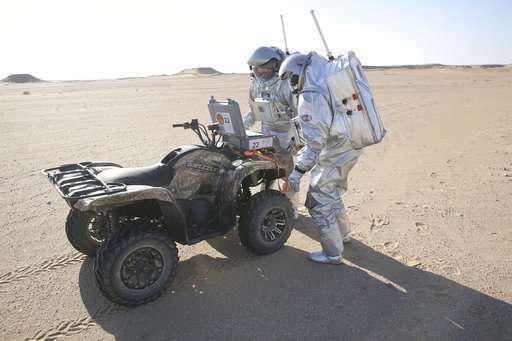 Two scientists in spacesuits, stark white against the auburn terrain of desolate plains and dunes, test a geo-radar built to map Mars by dragging the flat box across the rocky sand. When the geo-radar stops working, the two walk back to their all-terrain vehicles and radio colleagues at their nearby base camp for guidance. They can't turn to their mission command, far off in the Alps, because communications from there are delayed 10 minutes. But this isn't the red planet—it's the Arabian Peninsula. 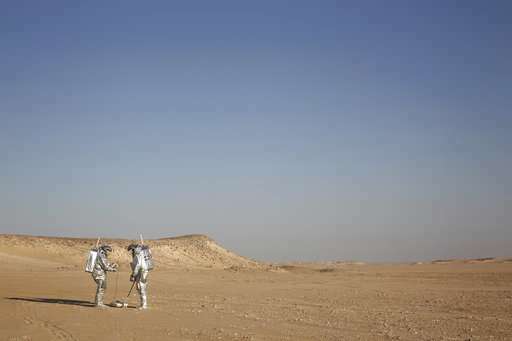 The desolate desert in southern Oman, near the borders of Yemen and Saudi Arabia, resembles Mars so much that more than 200 scientists from 25 nations chose it as their location for the next four weeks, to field-test technology for a manned mission to Mars. Public and private ventures are racing toward Mars—both former President Barack Obama and SpaceX founder Elon Musk declared humans would walk on the red planet in a few decades. New challengers like China are joining the United States and Russia in space with an ambitious, if vague, Mars program. Aerospace corporations like Blue Origin have published schematics of future bases, ships and suits. The successful launch of SpaceX Falcon Heavy rocket this week "puts us in a completely different realm of what we can put into deep space, what we can send to Mars," said analog astronaut Kartik Kumar. 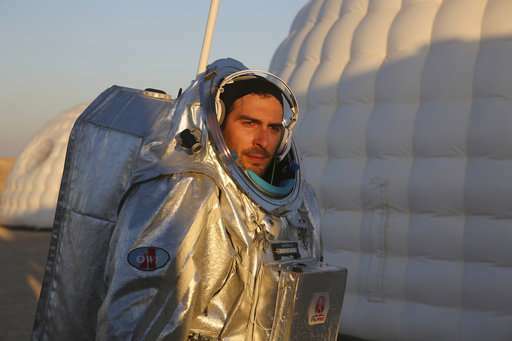 The next step to Mars, he says, is to tackle non-engineering problems like medical emergency responses and isolation. "These are things I think can't be underestimated." Kumar said. 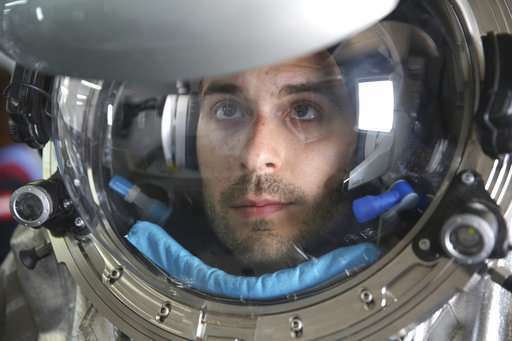 While cosmonauts and astronauts are learning valuable spacefaring skills on the International Space Station—and the U.S. is using virtual reality to train scientists—the majority of work to prepare for interplanetary expeditions is being done on Earth. And where best to field-test equipment and people for the journey to Mars but on some of the planet's most forbidding spots? Seen from space, the Dhofar Desert is a flat, brown expanse. Few animals or plants survive in the desert expanses of the Arabian Peninsula, where temperatures can top 125 degrees Fahrenheit, or 51 degrees Celsius. 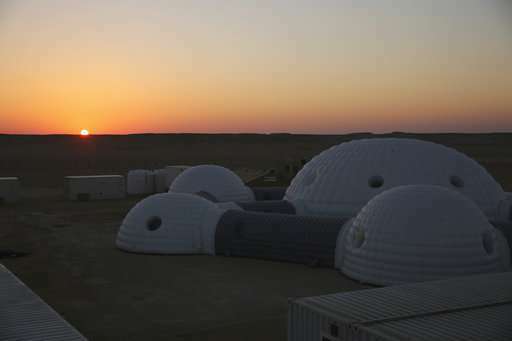 On the eastern edge of a seemingly endless dune is the Oman Mars Base: a giant 2.4-ton inflated habitat surrounded by shipping containers turned into labs and crew quarters. 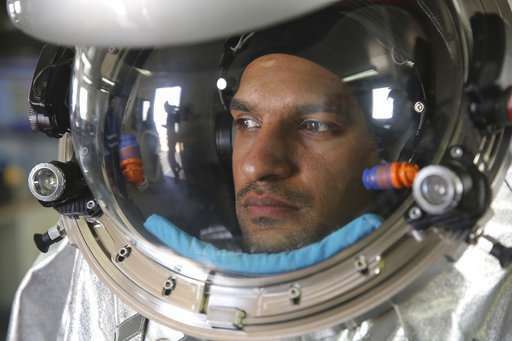 The desert's surface resembles Mars so much, it's hard to tell the difference, Kumar said, his spacesuit caked in dust. "But it goes deeper than that: the types of geomorphology, all the structures, the salt domes, the riverbeds, the wadis, it parallels a lot of what we see on Mars." 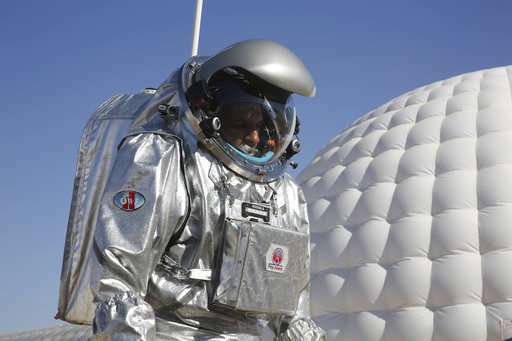 The Omani government offered to host the Austrian Space Forum's next Mars simulation during a meeting of the United Nation's Committee On the Peaceful Uses of Outer Space. Gernot Groemer, commander of the Oman Mars simulation and a veteran of 11 science missions on Earth, said the forum quickly accepted. 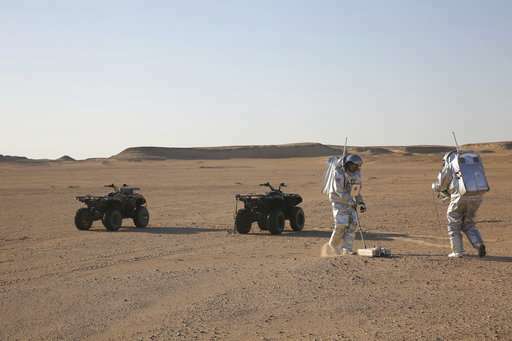 Scientists from across the world sent ideas for experiments and the mission, named AMADEE-18, quickly grew to 16 scientific experiments, such as testing a "tumbleweed" whip-fast robot rover and a new spacesuit called Aouda. 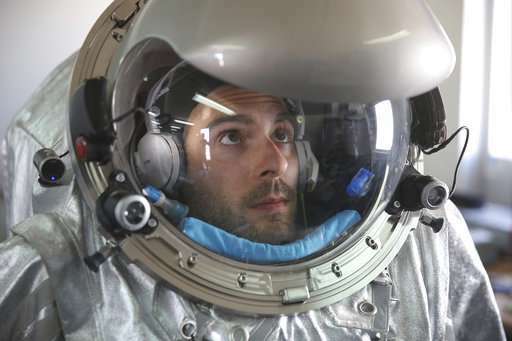 The cutting-edge spacesuit, weighing about 50 kilograms (110 pounds), is called a "personal spaceship" because one can breathe, eat and do hard science inside it. 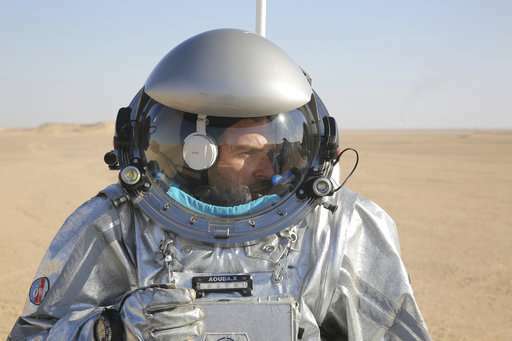 The suit's visor displays maps, communications and sensor data. A blue piece of foam in front of the chin can be used to wipe your nose and mouth. "No matter who is going to this grandest voyage of our society yet to come, I think a few things we learn here will be actually implemented in those missions," Groemer said. The Soviet Union's 1957 launch of Sputnik ignited a space race between Moscow and Washington to land a crew on the Moon. But before the U.S. got there first, astronauts like Neil Armstrong trained suspended on pulleys to simulate one-sixth of Earth's gravity. 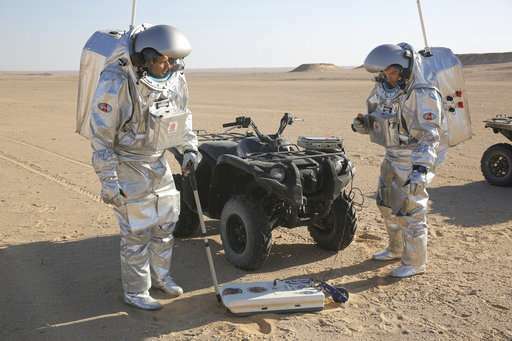 Hostile environments from Arizona to Siberia were used to fine-tune capsules, landers, rovers and suits—simulating otherworldly dangers to be found beyond Earth. 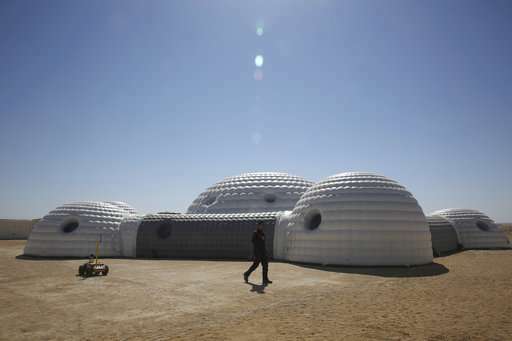 Space agencies call them "analogues" because they resemble extraterrestrial extremes of cold and remoteness. 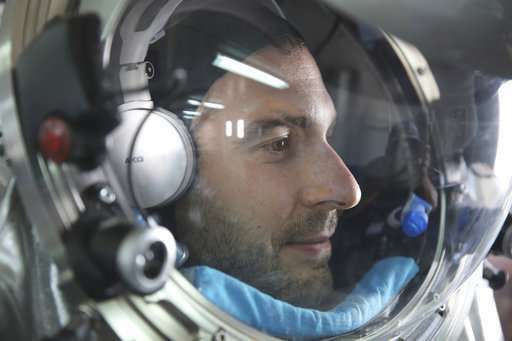 "You can test systems on those locations and see where the breaking points are, and you can see where things start to fail and which design option you need to take in order to assure that it does not fail on Mars," said João Lousada, one of the Oman simulation's deputy field commanders who is a flight controller for the space station. Faux space stations have been built underwater off the coast of Florida, on frigid dark deserts of Antarctica, and in volcanic craters in Hawaii, according to "Packing For Mars," a favorite book among many Mars scientists, written by Mary Roach. "Terrestrial analogs are a tool in the toolkit of space exploration, but they are not a panacea," said Scott Hubbard, known as "Mars czar" back when he lead the U.S. space agency's Mars program. 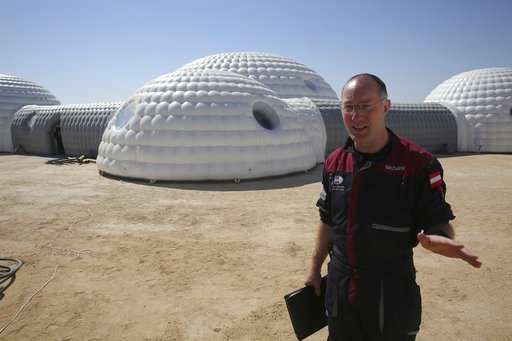 Some simulations have helped developed cameras, rovers, suits and closed-loop life-support systems, he said. NASA used the Mojave Desert to test rovers destined for the red planet but they also discovered much about how humans can adapt. "Human's adaptability in an unstructured environment is still far, far better than any robot we can send to space," Hubbard said, adding that people, not just robots, are the key to exploring Mars. The European Space Agency's list of "planetary analogues" includes projects in Chile, Peru, South Africa, Namibia, Morocco, Italy, Spain, Canada, Antarctica, Russia, China, Australia, India, Germany, Norway, Iceland, and nine U.S. states. 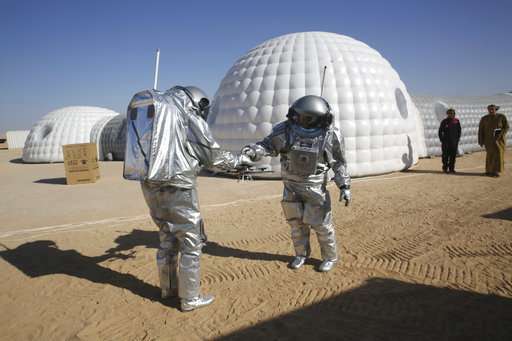 Next Thursday, Israeli scientists are to run a shorter simulation in a nature preserve called D Mars. However, there remain so many unknowns that simulations "are not in any way a replacement for being there," Hubbard said. The Oman team's optimism is unflinching. 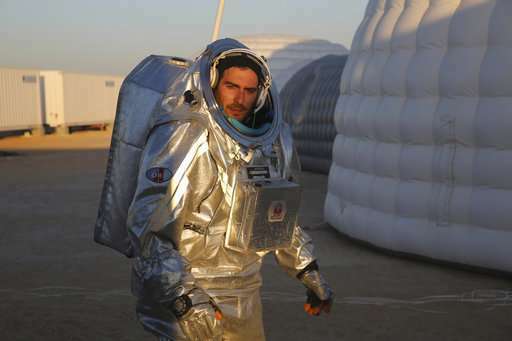 "The first person to walk on Mars has in fact already been born, and might be going to elementary school now in Oman, or back in Europe, in the U.S. or China," Lousada said.